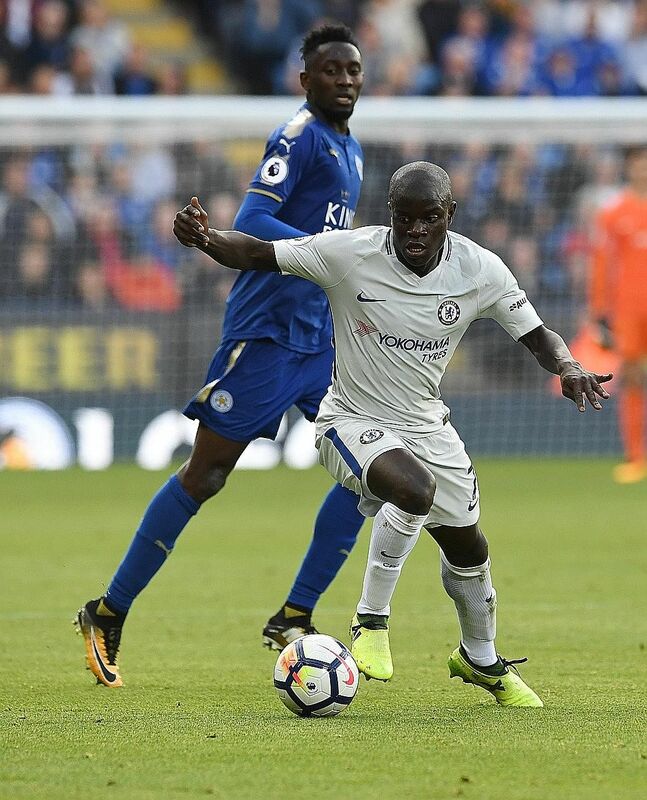 LONDON • Chelsea manager Antonio Conte warned the rest of the English Premier League that double Player of the Year N'Golo Kante is only going to get better. The combative France midfielder won the PFA and Football Writers' award last season after his performances inspired Chelsea to the championship. But Kante has not been noted for his scoring prowess since arriving in the country from Caen. His strike at the King Power Stadium on Saturday - Alvaro Morata getting Chelsea's other goal and Jamie Vardy getting one back from the penalty spot for the 2016 champions - was only his third since he joined Leicester in 2015. The 2-1 victory was Chelsea's third successive win, as the champions continued to recover from their opening-day 2-3 horror loss at home to Burnley. "For sure it was a good day for us and a good day for Alvaro Morata," said Conte. "It is always good for a striker to score. For us as a team it is important to see we are improving but if Morata scores I am also happy to see that. "He makes good runs and makes good-quality passes and now there is quality in his finishing. It is very important to see that this player is improving step by step and N'Golo Kante is a top player." The Italian was also delighted to have Belgian playmaker Eden Hazard back - he came on as a substitute - after he was ruled out of the beginning of the campaign as he recovered from ankle surgery. He makes good runs and makes good-quality passes and now there is quality in his finishing. ANTONIO CONTE, Chelsea manager, on N'Golo Kante's contributions. "It was great to see Eden Hazard back but it will take time for him to be 100 per cent again," said Conte. "But we are very happy because we know the importance of this player for us. I'm pleased for him and it's great to see him again. "We had a bad start against Burnley and some other difficulties but three wins in a row is important for the players because they are doing very well." "We have to stay positive because we knew that the first six games were going to be difficult as we play last year's top four and champions," said Leicester manager Craig Shakespeare. "Performance wise I though it was okay in terms of our commitment. We showed great endeavour to go right to the end of the game."